Joseph Smith, CFA, CLS Senior Market Strategist and Edward Rosenberg, Senior Vice President and Head of ETF American Century Investments continue to discuss the world of ETFs. Smith asks Rosenberg about the “race to zero” and if the price of ETFs really matters. 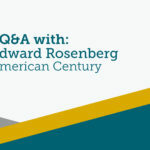 Joseph Smith, CFA, CLS Senior Market Strategist sits down with Edward Rosenberg, Senior Vice President and Head of ETF American Century Investments to discuss where the industry has been, where it is going, and important challenges/issues that need to be solved. 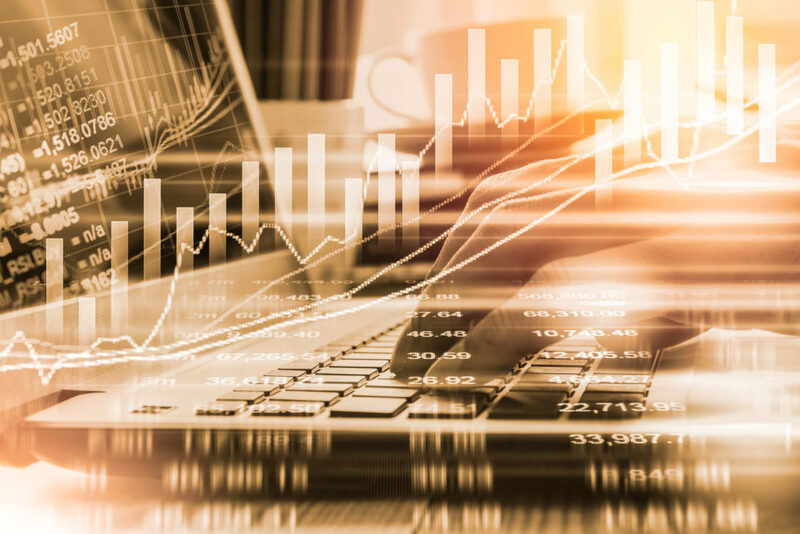 The ETF industry continues to be a hot topic in the investment world as these flexible funds continue to show stellar growth. ETF flows for the year so far are on pace to set another record for asset-gathering activity. So, by the numbers, what’s really behind the growth of ETFs? Here are three key charts that tell you everything you need to know. 1. ETF Asset Growth has Shifted From “Access” to “Insight” Exposures: ETFs prior to 2009 were largely focused on providing access to virtually every asset class investors could use in a portfolio. Today, new ETFs are designed to target a particular insight or investment strategy utilized by active managers, but packaged as smart beta ETFs. 2. ETF and Index Fund Net Flows Have Been Competitive Relative to Active Funds: Since 2006, ETFs and index funds have enjoyed positive net inflows. Active funds enjoyed positive flows from 2009 to 2014, but they have seen net outflows over the last two consecutive years. 3. 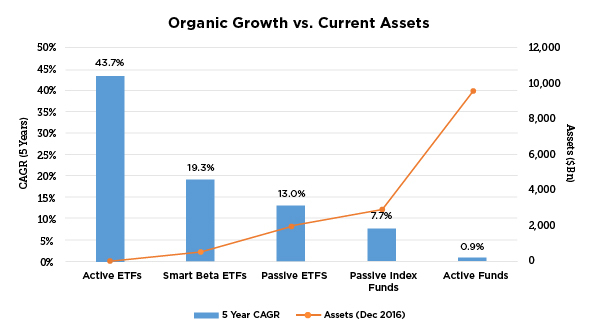 ETF Growth is Still in Early Innings Relative to Assets: Despite the above-average growth in ETFs (especially smart beta and active ETFs), industry assets are still primarily located in active mutual funds. ETFs still have room to enjoy above-average growth until assets represent a more meaningful portion of total industry assets. 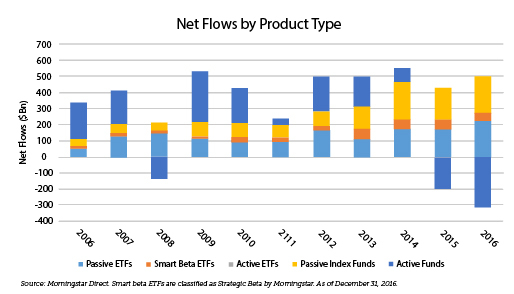 Smart beta ETFs continue to dominate the financial news as more investors and asset managers grapple with the continued shift from active to passive investing. Despite this movement, smart beta investing is still widely unknown, and there is little understanding about what it actually means. At CLS, we are heavy users of smart beta ETFs. We employ them primarily to gain access to return premiums, such as value, size, momentum, quality, and minimum volatility. Smart beta ETFs aim to marry two differences between active and passive investing (fees and exposure) by screening for stocks the way an active manager would. The only difference is smart beta ETFs use rules-based methodologies to find stocks that meet an investor’s target investment exposure without the need for human judgement. To illustrate this point, let’s take a look at the suggested holdings for both the MSCI USA Index and a hypothetical smart beta index targeting value stocks within the same index universe. 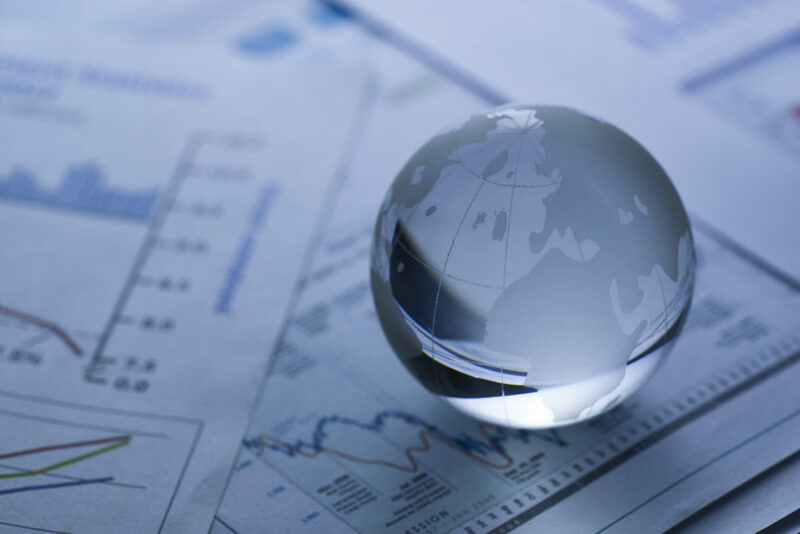 The MSCI USA Index is simply a market-cap-weighted index, while our hypothetical smart beta index targets stocks that score with high exposure to the value factor. So what do the results tell us? Not only does the smart beta index have less in common with the market-cap index in terms of the top names held in the portfolio, but the stocks clearly score much higher on the desired exposures (in this case, value) than the market-cap index. In effect, a smart beta index captures the essence of a typical active manager’s intent, but with transparent rules that re-base a traditional index along an investor’s desired exposure. 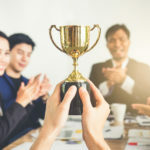 The key takeaway is smart beta investing is not necessarily new, but it’s an exciting twist to exposures investors have long accessed through active managers and their stock-picking abilities. Smart beta ETFs provide additional value for investors, including those in CLS portfolios, by providing a more cost-effective approach to accessing return premiums that deliver value for the long haul. Just one of the many reasons I love being smart beta invested! At CLS, I like to think that – We are Unique. We are Experts. We are Nice. As for being unique, I was able to get even more evidence supporting that from the latest Brown Brothers 2016 U.S. and European ETF Investor Survey. Before we get to the survey data though, as we already know, the way we build balanced, diversified portfolios is unique in the industry, as we build and manage portfolios strategically by managing to target risk levels instead of targeting asset allocations. It’s a key and defining – and important – twist to building multi-asset portfolios. It allows us to actively manage the portfolios – adjusting to changing risk and return expectations – and still be able to deliver reliable and consistent portfolio behavior. The survey, however, got across the point that the ETFs that we select are also unique for the industry. In short, our portfolio holdings look different – a lot different – than what our competitors typically buy. 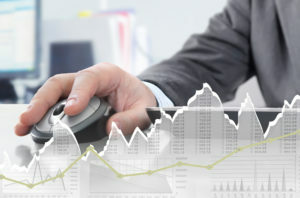 First and foremost, we are an enthusiastic user of “smart beta” ETFs (iShares® Smart Beta ETFs – The Power of Factor Investing‎). Currently, our portfolios are nearly 50% smart beta. Less than 20% of ETF strategists have exposure even above 20%. Over 50% have 0% exposure. CLS is definitely different. Second, actively-managed funds make up about 10% of CLS’s AUM (assets under management). The industry average is about 1%. Again, CLS is also definitely different. Third, regarding currency-hedged ETFs (meaning we take no currency risk as everything is hedged back into U.S. dollars), our holdings in currency-hedged ETFs is currently 15-20% of our international holdings. That is above the industry average, which is below 10%. Nearly half of ETF strategists have 0% exposure. CLS is clearly unique relative to other ETF Strategists in how we select ETFs. In short, what we look for in an ETF is different. What we emphasize and what we don’t is notable. Expected risk of an ETF – measured via our Risk Budgeting Methodology. Expected return of ETF – looked at from multiple perspectives, but most prominently from our propriety “CLS Score” which looks at multiple variables including valuations, momentum, costs, changes in risk, and fundamental and economic data. ETF issuer: While we think this is important, and we sincerely value our relationships and support from ETF issuers, we feel this is the least important of the 7 factors – and far less important than what many ETF consumers look for. It does go to show the value of branding though. Exact exposure of underling holdings: Meanwhile, we do consider this THE most important attribute to understand about an ETF. While this was also the top ranking for the average investor in the survey, at CLS we put far more emphasis on it. Tracking error: How closely does the ETF track its underlying holdings? At CLS, we think this is extremely important, and we put far more emphasis on it than most investors. To us, if an ETF doesn’t track the holdings that we expect it to follow, that’s just sloppy and a big knock against the attractiveness of the fund. Expense ratio: This is the second most important variable for both CLS and for the ETF investors surveyed. How we differ – we put less emphasis on it. Why? See the next attribute. Trading spreads: This refers to how well an ETF trades. This can be nearly as important – if not more important – than the expense ratio. At CLS, we put tremendous attention on this (it’s even a key factor in the aforementioned CLS Score) and a lot more than the average ETF investor. Tax efficiency: To the average investor, and to CLS, this is a given positive attribute for ETFs. There is really no significant difference in how CLS looks at it compared to the average investor. If anything, CLS puts slightly less emphasis on it. 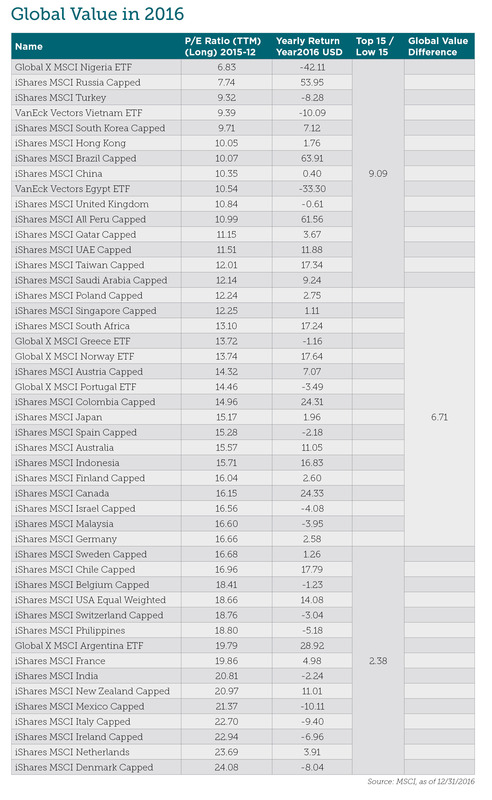 Historical performance: To many investors, this is one of the more important variables when picking an ETF. At CLS, while we do look at historical performance, it’s actually near the bottom of the list for us. Bottom line, when it comes to picking an ETF, we want to know its underlying holdings, that it tracks those holdings well, that the ETF is priced right, and that it trades well. If we find an ETF in an area of the markets that offers potentially attractive expected (not historical) risk-adjusted returns, then it’s worthy of inclusion in our portfolios. In sum, CLS is a unique money manager – in a variety of ways. In 2016, every major index that CLS tracks was positive, as shown in the chart below, and outperformed cash (which is the whole reason to invest in stocks and bonds in the first place). In the CLS Quarterly Market Outlook, we often write about what worked and what did not work for our globally diversified portfolios. In a well-diversified account, there is always something that doesn’t work. For example, in 2016 we noted that health care stocks were net negatives for investors. After a great year in 2015 (+6.84%), the popular Health Care Select Sector SPDR® ETF had a negative return on the year in 2016 (-2.76%). In the fixed-income sector, municipal bonds did not work for investors and lagged the overall bond market. Without a doubt, holding a very high allocation to these two areas of the stock and bond markets would have caused investors to second guess their choices. Let’s take a look at two scenarios for Client X and Client Y, as illustrated in the graphic below. 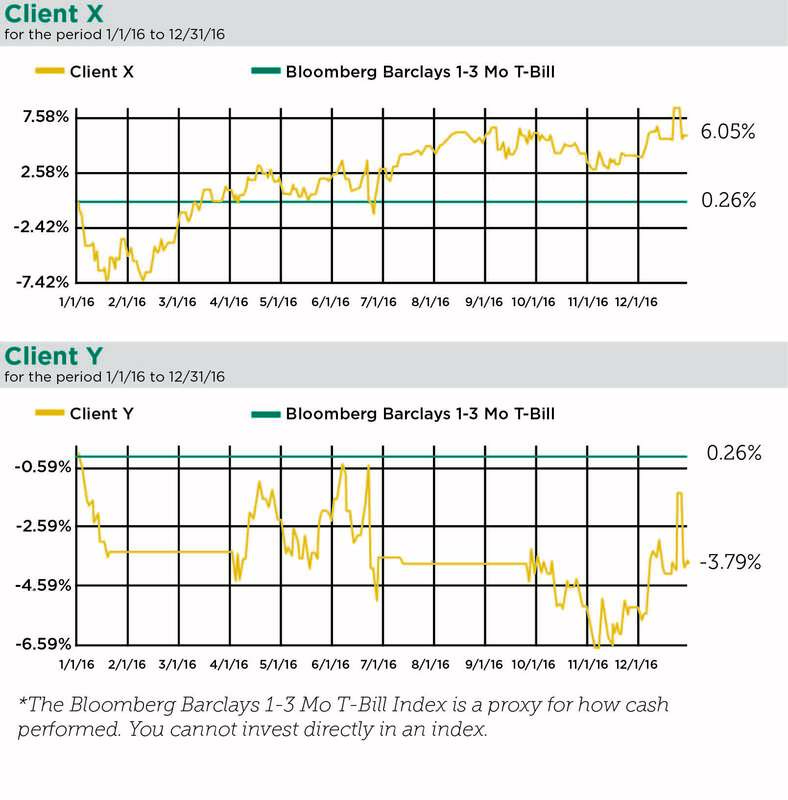 The first chart shows Client X and his experience/returns in 2016 at a moderate Risk Budget. He had a solid year. It started out a little rocky but ended on a very positive note. How would that experience change if the client had been at the same Risk Budget, but sold out of the market throughout the year? The pain points are shown on the Client Y chart. The first happened at the beginning of 2016 when the S&P 500 experienced one of its worst opens to the year. The client then stayed in cash until getting back in the market in early April. From there, another dramatic headline around the U.K.’s decision to leave the European Union prompted a second quick exit. Client Y stayed in cash until the end of September then got back into the market and stayed in until year end. Overall, Client Y’s market timing strategy would have performed negatively for the year. Global Value investing was one notable strategy that worked in 2016. This strategy is overweight in countries and regions that trade at discounts to their average valuations, and underweight in countries and regions that are more expensive than their average valuations. The underlying idea is that reversion to the mean will take place as the cheap areas will have strong, positive performance and the expensive areas will have weaker or even negative performance. For dollar investors (such as the majority of those reading this blog), the returns of the 15 cheapest countries, as measured by the 12/31/15 Price to Earnings (P/E) valuation metric, returned 9.09% on average and ten out of the fifteen were positive. The biggest outlier was Brazil at 64%. By contrast, the 15 most expensive countries, as ranked by the P/E metric, returned 2.38% on average and only seven out of fifteen were positive. One of the biggest outliers was the U.S. Even with high valuations, the U.S. managed a 14% gain as other countries like Denmark, Mexico and Ireland moved lower. Global value (a current CLS Investment Theme) won’t work every year — no investment strategy does. But it does tend to work over the long term as mean reversion takes place. So the odds are in its favor over market timers.